The OBA operates a museum at their HQ in Fort Worth, TX, currently co-located with the Vintage Flying Museum facilities. In June 2000, the German wing of the OBA was created, giving us a truly global reach. We sincerely hope that you will consider becoming involved. 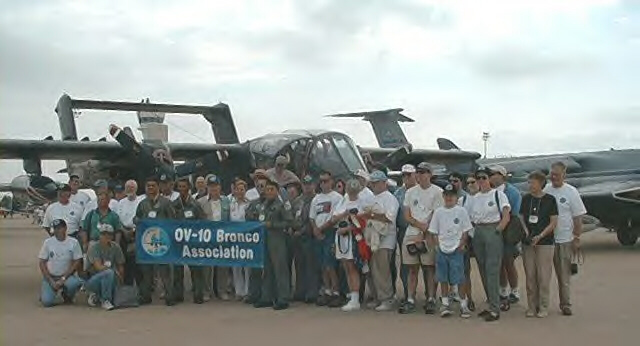 Although the majority (but not all) of our members worked in or around OV-10s at some point, you need not have any "official" association with Broncos at all. The only requirement for membership is being interested!!! There is a lot to do and the most important thing by far is a willingness to help out, whether by simply joining, taking charge of some project, or anything in between. First and foremost we like to keep it fun!